For gates up to 1,200 lbs. (max 12 ft.) or 18 ft. in length (max 600 lbs.). This is a LiftMaster CSW24VDC Commercial Swing Gate Operator. operator and houselights with your smartphone for greater peace of mind. 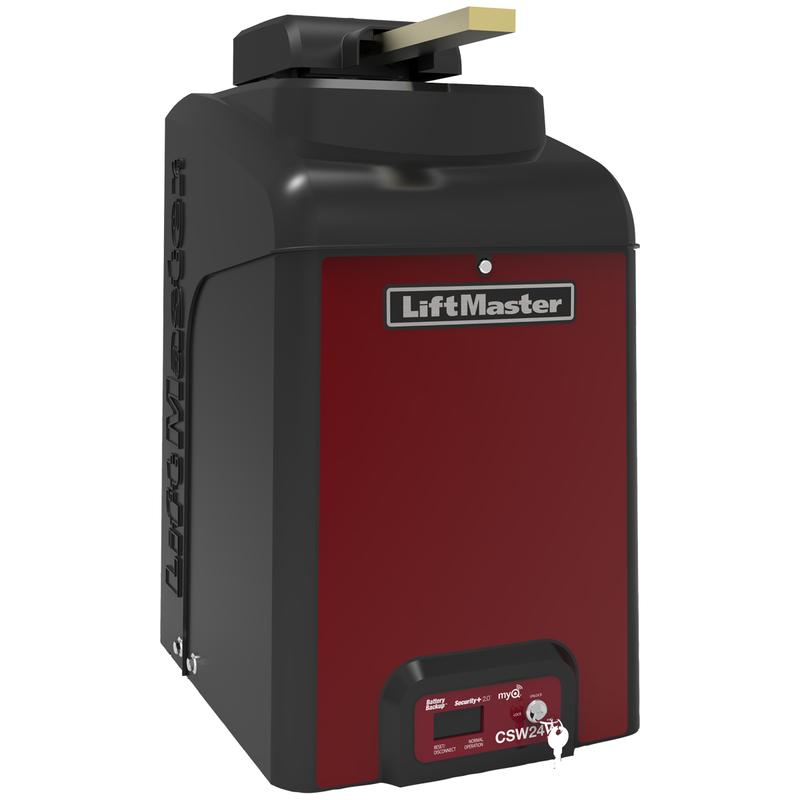 • Battery Backup safeguards your property by providing up to 146 cycles or up to 24 days of standby power when the power is down. • Commercial-Duty Cast Aluminum Housing with Heavy-Duty DC Motor powerful enough to perform in the most demanding applications. Soft start/stop operation extends operator and hardware life for heavy-duty gate use. • Gate Size rated for gates up to 18 ft. in length or weighing up to 1,200 lbs.